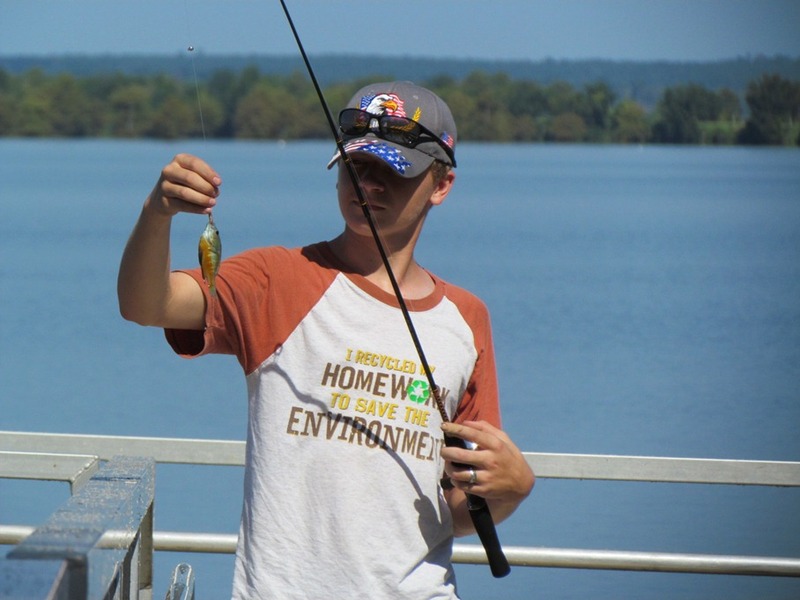 We were headed back to Martin Dies Jr. State Park, this time to take advantage of the fishing without a license in the state parks! I wasn’t all that into fishing so I told them let’s first hike and geocaching the Wildlife Trail then go fishing later. Austin was dubbed “pack horse” for today. 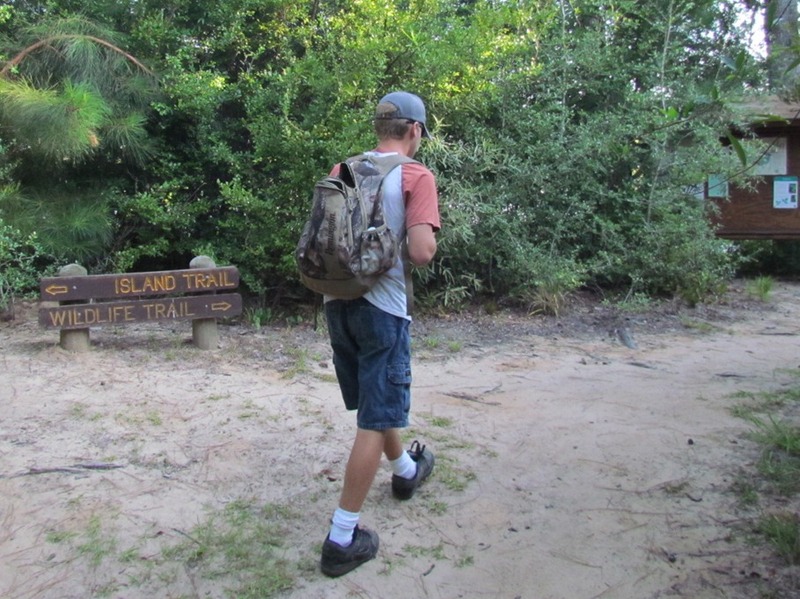 He doesn’t mind because for the most part it is his field guides in that pack! We stood on the bridge for a while and just looked at the wildlife. 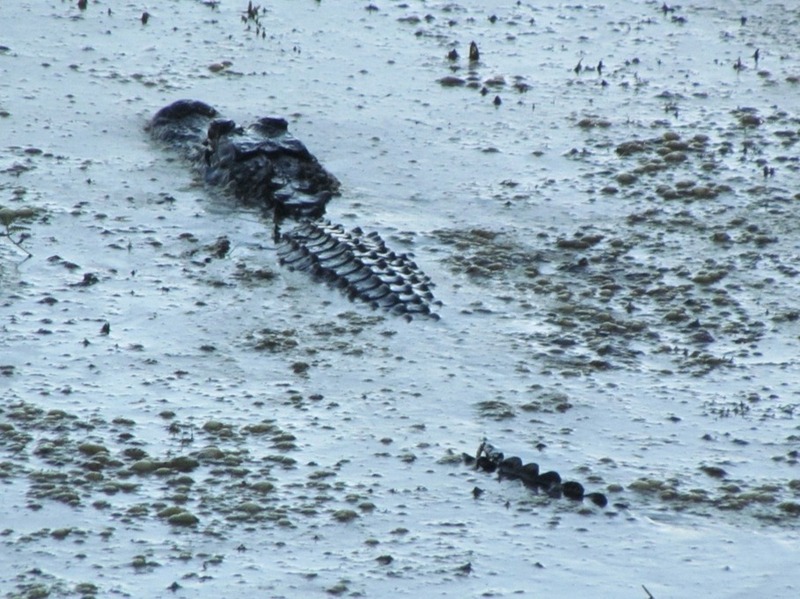 This small gator hissed or growled or something at us because we messed up his breakfast hunting. 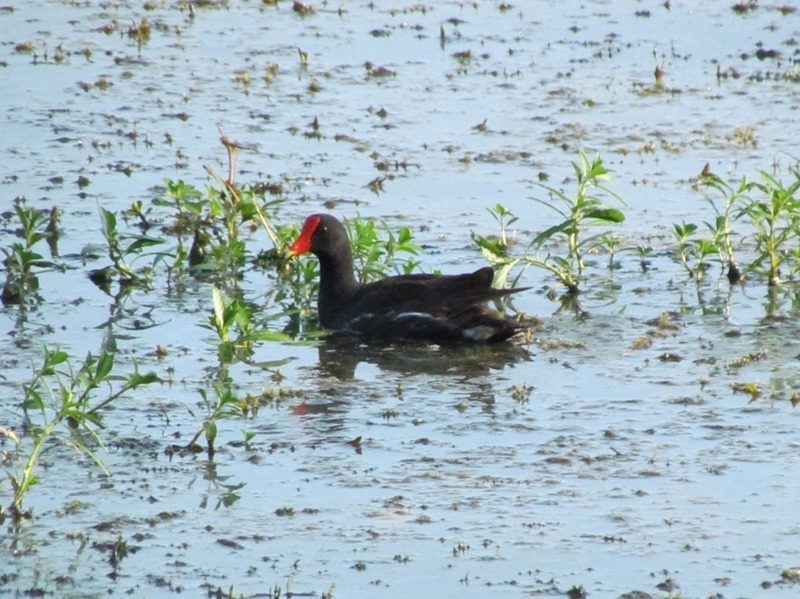 This Common Gallinule almost was the gators breakfast but luckily it spotted the gator before it came close enough to lunge. Although it would have made an interesting photo op if it had gotten eaten. 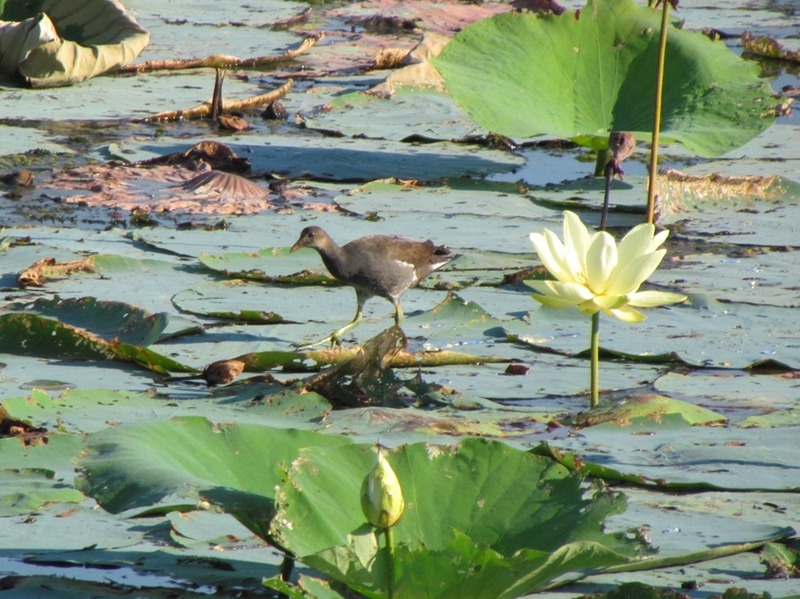 This is a Juvenile Gallinule walking on the lily pads, they call these moor hens, I can see why. They do look a lot like chickens. 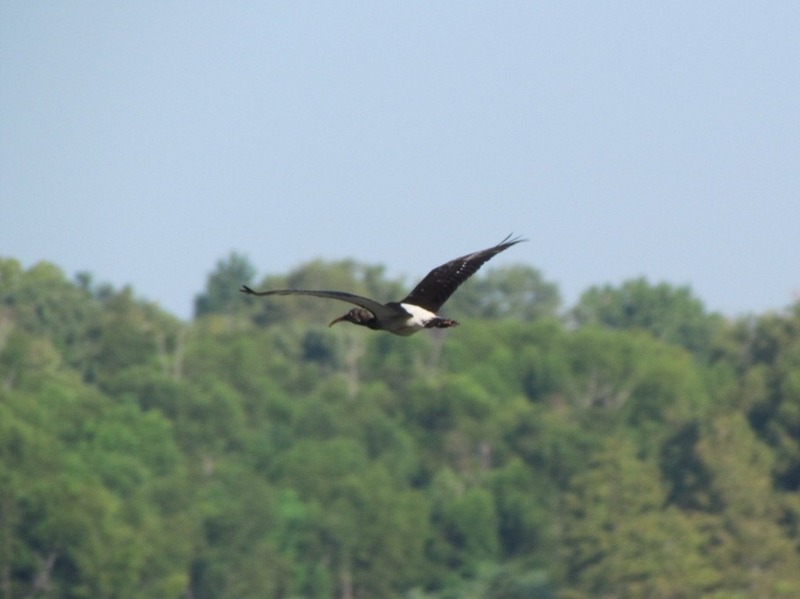 A Juvenile White Ibis took flight across the lake, fussing at us for disturbing it’s morning tranquil moment. 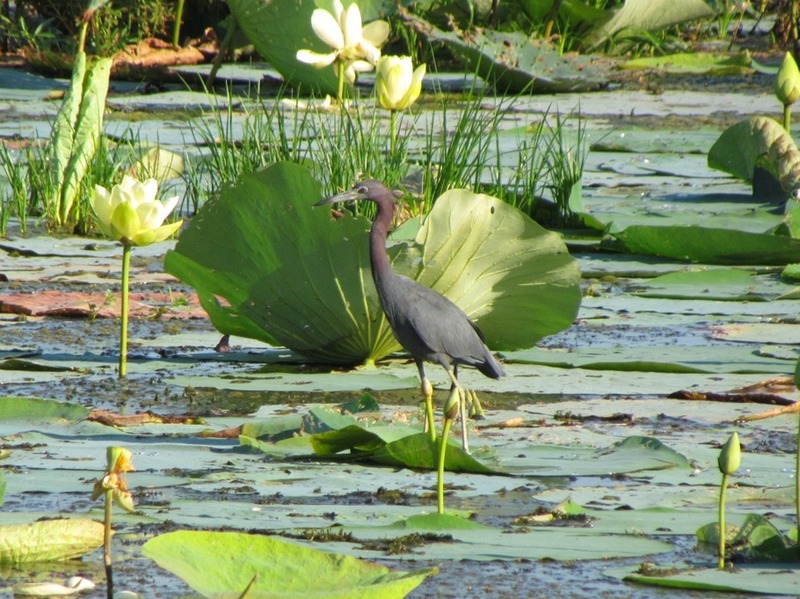 A Little Blue Heron stood atop of the lily pad waiting for an unsuspecting fish to wander to close. 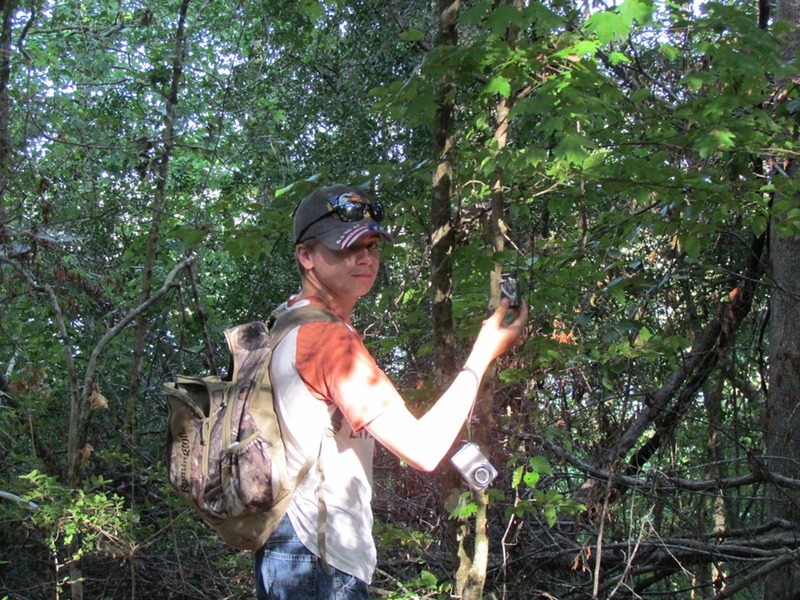 We headed on off into the woods to try to geocache. The mosquitoes must have been setting there ready to ambush us because we were suddenly surrounded by what seemed like hundreds of them. Thank God for the Deep Woods Off Spray that I had in the pack because without it we would not have been able to do anything but retreat. 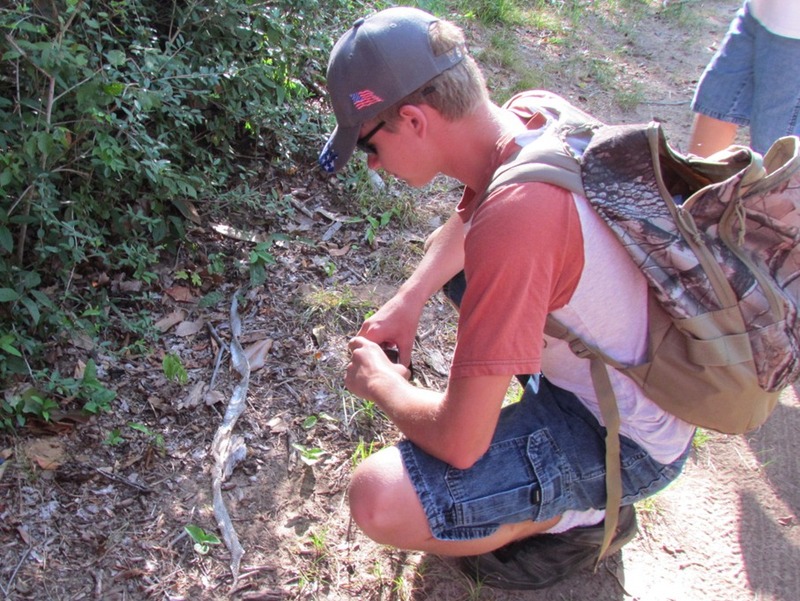 Austin spotted a snake shed along the trail and advised his siblings to leave it for the next hiker to enjoy. I love that he thinks that way, always caring about nature and hoping others do as well. 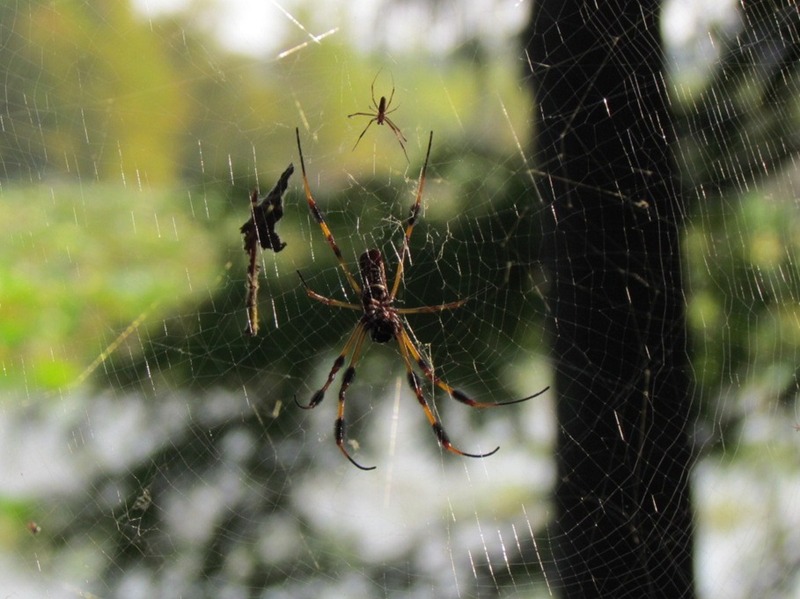 A Golden Silk Orb Weaver had spun a huge web in the nearby bushes the smaller spider is the male and the large one is the female. It is a very pretty spider as far as spiders go. Anna had found the first cache of the day but the picture was blurry, probably because I was still fighting mosquitoes at that time but Austin found the second (and last) of the day. The mosquitoes were constantly trying to find spots we hadn’t sprayed well and so we was having to re-spray every couple minutes and it only got worse when we stopped to look for a cache. The morning was getting very hot very fast so we decided to stop caching and just keep moving hoping the bugs wouldn’t be able to tote us off if we stayed in motion. 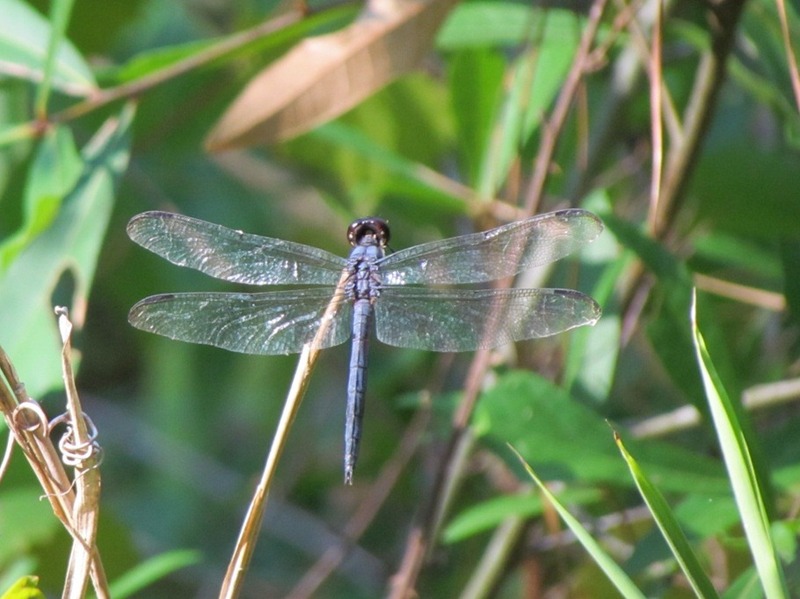 We finished the trail and out run the bugs but I did manage to get a good shot of a dragonfly resting on a twig. Maybe it the silly thing would get up and get busy hunting then the mosquitoes would not be so bad! 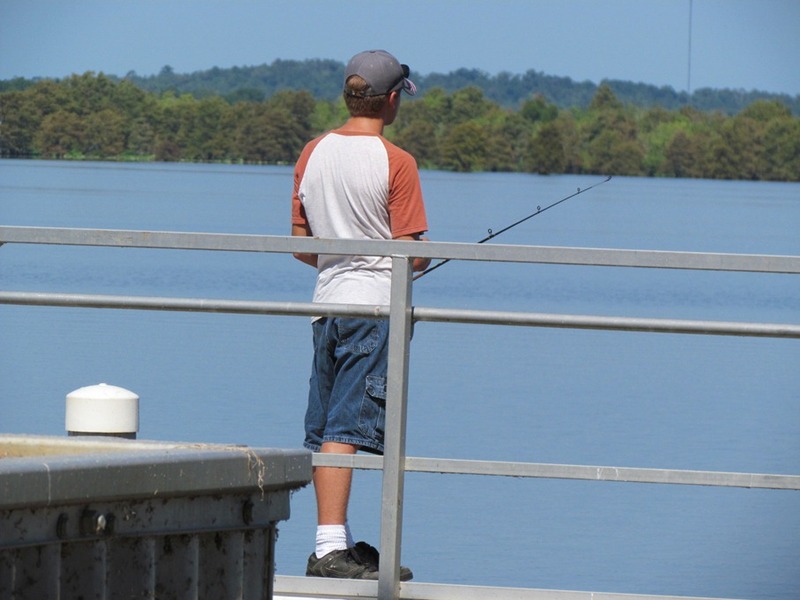 We headed on down to the fishing pier to try our hand at some perch fishing. 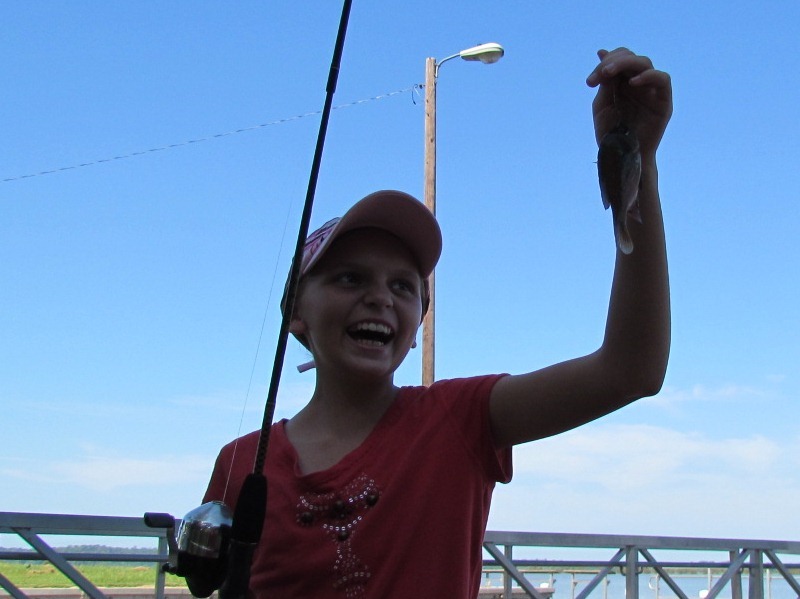 Anna had not seemed to excited about the idea of fishing when we first asked the kids if they wanted to go or not. Needless to say her excitement level shot through the roof when she was the first to catch a fish. Stewart looks about as excited as Anna but it was only because I told him to smile! I am not feeling the sincerity! He apparently found the spot that was very popular in the fish world because he was pulling them out left and right! Today was Adam’s day, it was the first time he ever caught a fish. He was so happy and excited. 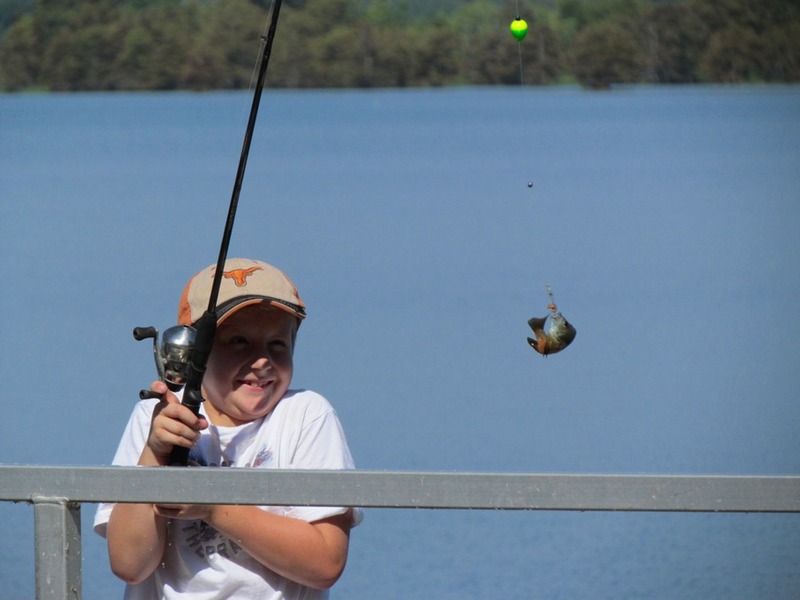 The little fish was flapping around trying to free itself and Adam was afraid he was going to get smacked! So he then opted to turn in the bobber for a bass bait, which really was not the best choice because he wasn’t catching anything bass fishing. This is how a country girl holds her pole and removes a fish… really! 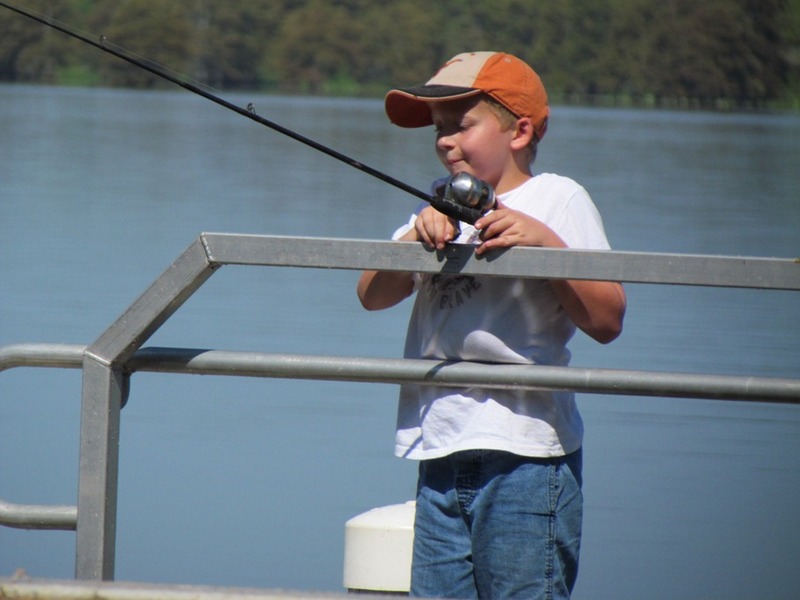 Adam is so cute waiting patiently for a fish to get on his hook! 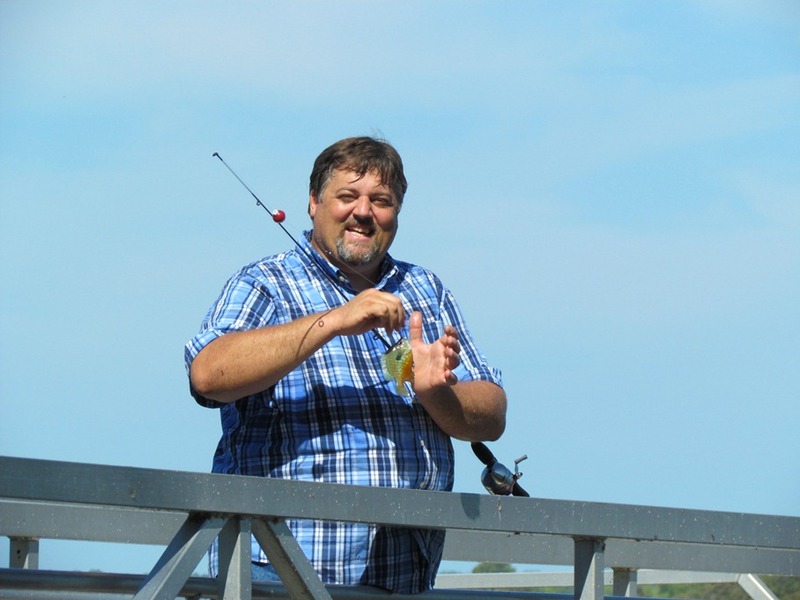 We had a really great time fishing, I didn’t get to fish between baiting hooks, removing fish, and taking pictures, but I was happy as could be just watching my kids making memories. 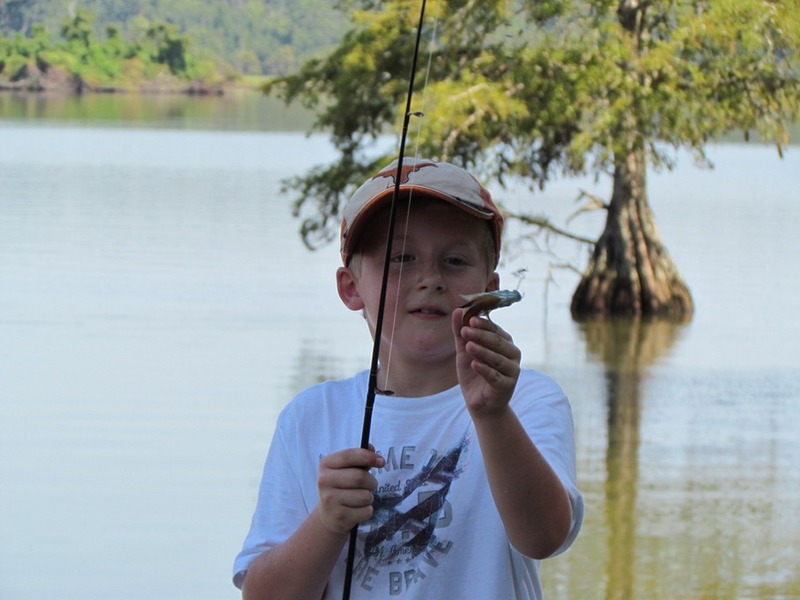 Posted on August 20, 2011, in Hiking, Homeschool, Nature and tagged Fishing. Bookmark the permalink. 1 Comment.